This is part two of a guest post written by Anna Weerasinghe, a graduate of Harvard Divinity School studying the history and theology of Hansen’s disease. Read part one and part three. Our last post saw Protestants Robert Louis Stevenson and the Rev. Dr. Hyde in a pitched, public battle for religious missionary Father Damien’s reputation. But what did fellow Catholics think of Damien? 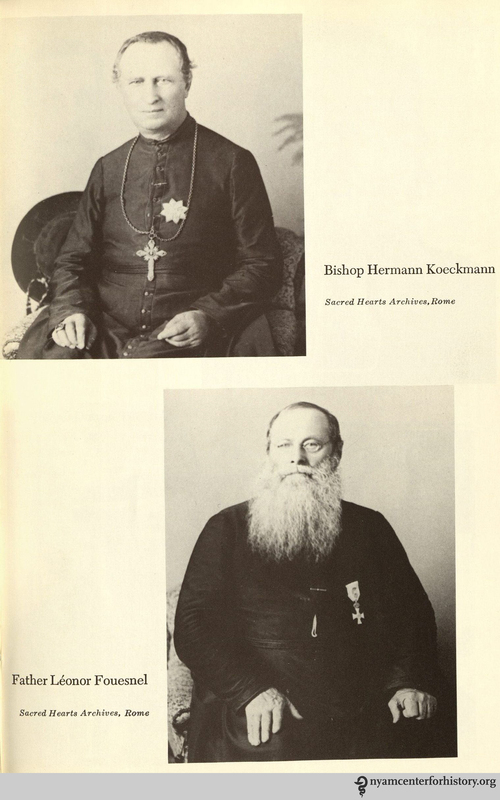 Bishop Hermann Koeckmann and Father Leonor Fouesnel. In Daws, Holy man: Father Damien of Molokai, 1973. “Good man of religion, good priest,” wrote Father Fouesnel, the vice-provincial of the mission at Honolulu, “but…sometimes indiscreet zeal leads him to say, to write, and even to do things which ecclesiastical authority can only criticize.”1 Damien was constantly at loggerheads with his superiors Fouesnel and Hermann Koeckemann, bishop of the Congregation of the Sacred Hearts on Hawaii, throughout his time at the Molokai leper settlement, and this is was nothing new. Damien at twenty-three, just before he left Europe. In Daws, Holy man: Father Damien of Molokai, 1973. This first step towards Molokai set the tone for Damien’s often-fraught relationship with his superiors throughout his life. Damien was impolitic, demanding, and at times even imperious. He did not request supplies or aid, he demanded them; when he got the desired materials or money, he used them as he saw fit without waiting for approval. 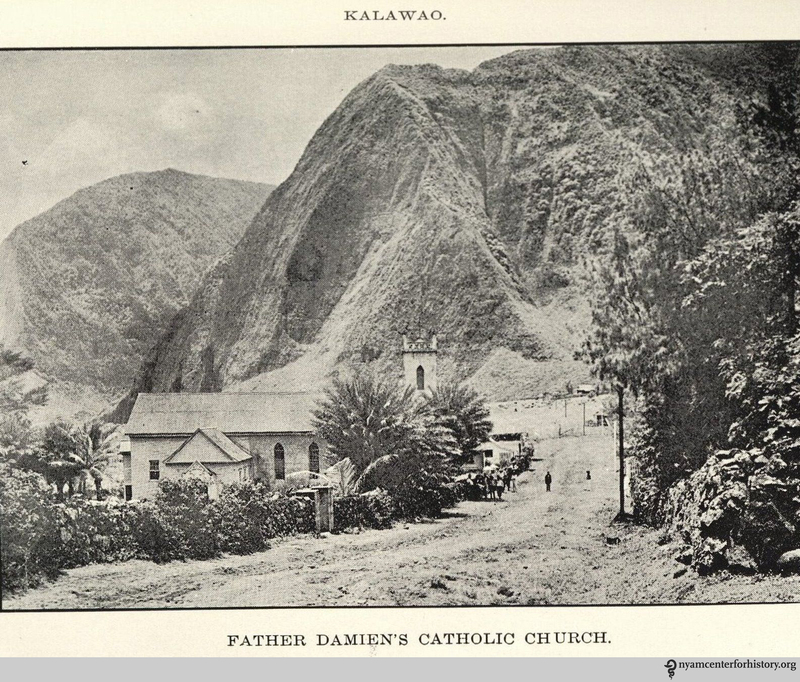 His intentions were generally good: for example, Damien once took lumber intended for the chapel in Pelekunu, a town on the other side of Molokai, to perform much-needed repairs on the chapel at the leper settlement instead. But the biggest bone of contention was Damien’s extraordinary international media presence, particularly towards the close of the 1880s when Damien’s terminal Hansen’s disease diagnosis had been confirmed and publicized. This massive surge in popularity was accompanied by an equally vast outpouring in donations, directed not towards the Congregation’s mission, but to Damien himself. Damien was taken aback by his superior’s disapproval as much as by the media attention. He believed his actions to be encouraging charity, not publicity—and in fact, only a few letters by Damien were published during his life. His circumstances, rather than his words, were what aroused public interest. The press presented Damien as a hero of self-sacrifice: losing first his freedom of movement, then his health, and finally his life. 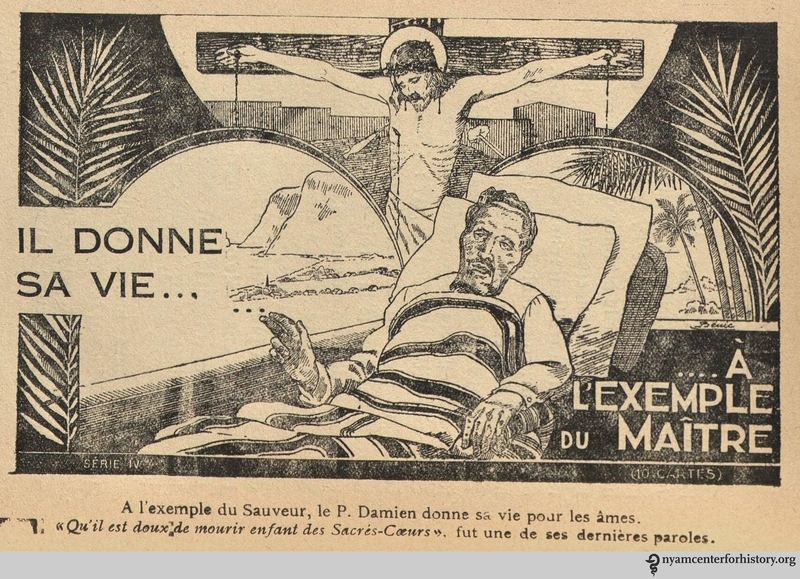 From Alazard, L’apôtre des lépreux, le père Damien, de la congrégation des Sacrés-Coeurs, 1932. The feast day chosen for the new Saint Damien was not the day of his death, as is typical for Catholic saints. Instead, Damien is venerated on May 10, the anniversary of his arrival on the island of Molokai—a moment that many regarded as a death sentence far worse than physical death.6 In the final post, we will look at Hansen’s disease on Hawaii, as well as the progression of Damien’s own illness and death. 1. Gavan Daws, Holy Man: Father Damien of Molokai (New York: Harper & Row, 1973), 136. 2. Philibert Tauvel, Rtather Damien: Apostle of the Lepers of Molokai, Priest of the Cognregation of the Sacred Hearts (London: Art and Book Co., 1904), 29-31. 4. Daws, 245-246. Beatification is the second of three formal steps in the process leading towards sainthood. 5. Rachel Donadio, “Benedict Canonizes 5 New Saints,” The New York Times, October 11, 2009. For more about the second miracle, which was documented in the Hawaii Medical Journal, see “Vatican Affirms Miraculous Healing Attributed to Blessed Father Damien.” Catholic News Agency. May 1, 2008. 6.In fact, at the time when Damien left for Molokai, the government of Hawaii was deliberating a law that would declare confirmed Hansen’s disease victim legally dead. Daws, 73. 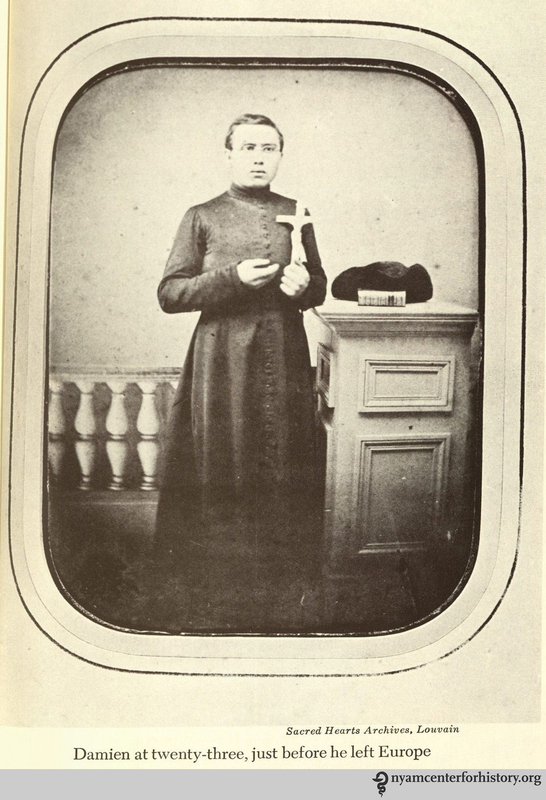 This entry was posted in Collections, History of medicine and tagged canonization, Catholicism, Father Damien, Father Leonor Fouesnel, guest post, Hansen’s disease, Hawaii, Hermann Koeckemann, Kalawao, leprosy, sainthood by nyamhistorymed. Bookmark the permalink.